Map of the situation shortly after the opening of the 1812 campaign from the West Point Atlas of Napoleonic Wars. French and allied armies in blue and Russians in red. 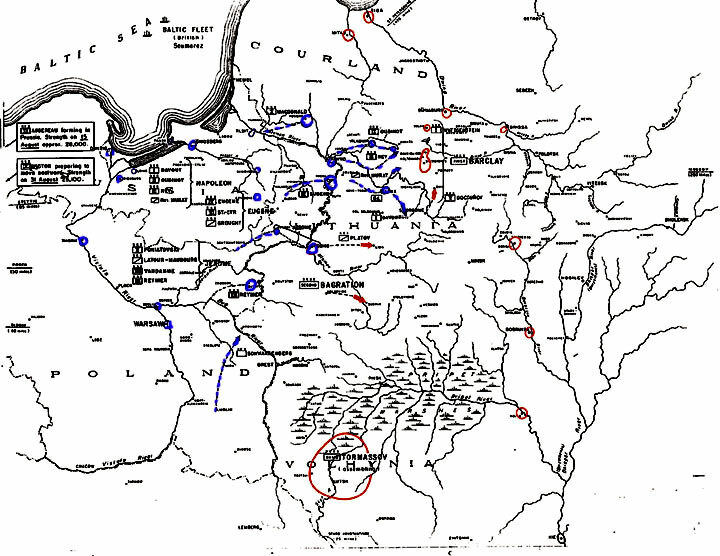 Tormassov is preparing to move north-west, Bagration is withdrawing east and Barclay is consolidating his forces.